There are many historic African American communities throughout Montgomery County including Scotland in Potomac, Sandy Spring in Olney, Plum Gar in Germantown and Good Hope in Burtonsville. The Community Centers located in each community had been severely neglected as the County continued to grow in prosperity and became one of the richest places in the country. Within these centers, not only were rats, sanitation and flooding an issue, but also they lacked sports equipment and even standard sized courts. The AIM Community Centers campaign brought these communities together with AIM leaders, clergy and congregations, to collectively organize around renovating these four solely neglected centers immediately. This campaign greatly impacted the 3,500 families who were within walking distance of these community centers, particularly the seniors and the low-income, at-risk youth who mostly utilized these centers. In addition, African American people in these communities in particular were, and had always been, treated as second-class citizens by the County. As community centers in predominately white communities received considerable funding, AIM leaders, clergy and congregations members agreed that the lack of funding to these four predominantly African American communities was unacceptable. AIM leaders and allies demonstrated their people power to the County Council and County Executive by holding a 350 person action. County Executive Leggett attended and promised to allocate 30-40 million dollars to renovate the centers. When his budget was released, however, the County executive broke his pledge and did not include the money for the centers. AIM leaders didn’t take no for an answer — they organized an action with 1,047 AIM leaders, clergy, congregation members and County Council members in attendance. AIM members were successful in getting all of the County Council members to unanimously overrule County Executive Leggett’s budget and in turn allocate 30 million into restoring and rebuilding the community centers. Since then, County Executive Leggett has done more than make good on the commitment to build the centers. 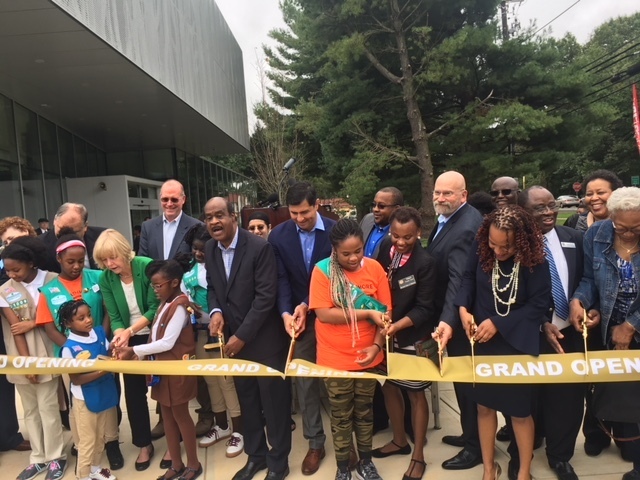 All four centers have been completely rebuilt or renovated, with state-of-the art facilities and a special arts focus in partnership with Strathmore at the Good Hope Community Center. The ribbon cutting for the last of the four centers was in November 2018. Click here to read more about it.